Nimbash happens on Saturday, May 13, at the Barn at St. Helena Montessori School, 880 College Ave., St. Helena. 5:30pm. $150 and up. nimbusarts.org. In any discussion about Napa Valley culture, the first two words that invariably come up are "wine" and "food." But there's a third dimension to the region—the arts—that has been steadily expanding in scope and inspiring residents and visitors to enjoy and embrace their creative side. 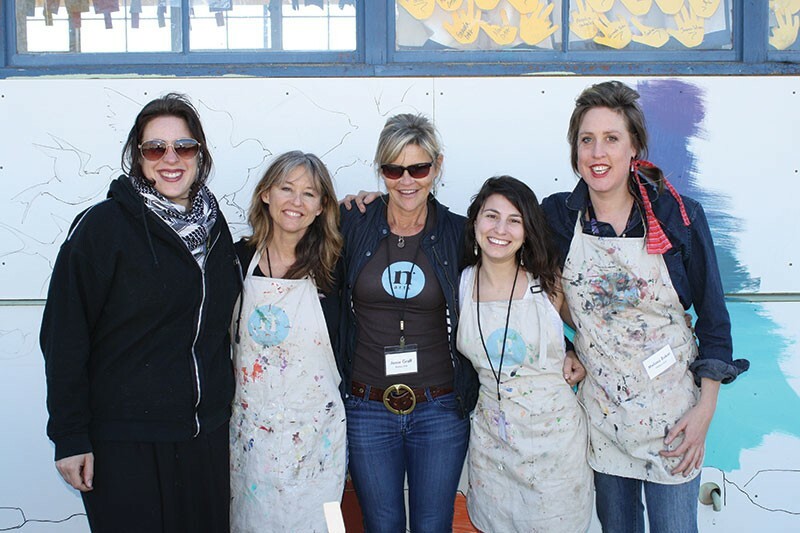 At the forefront of this cultural dimension is Nimbus Arts, a nonprofit arts center based in St. Helena that offers eclectic art classes for students and engages with the community through public projects and installations. 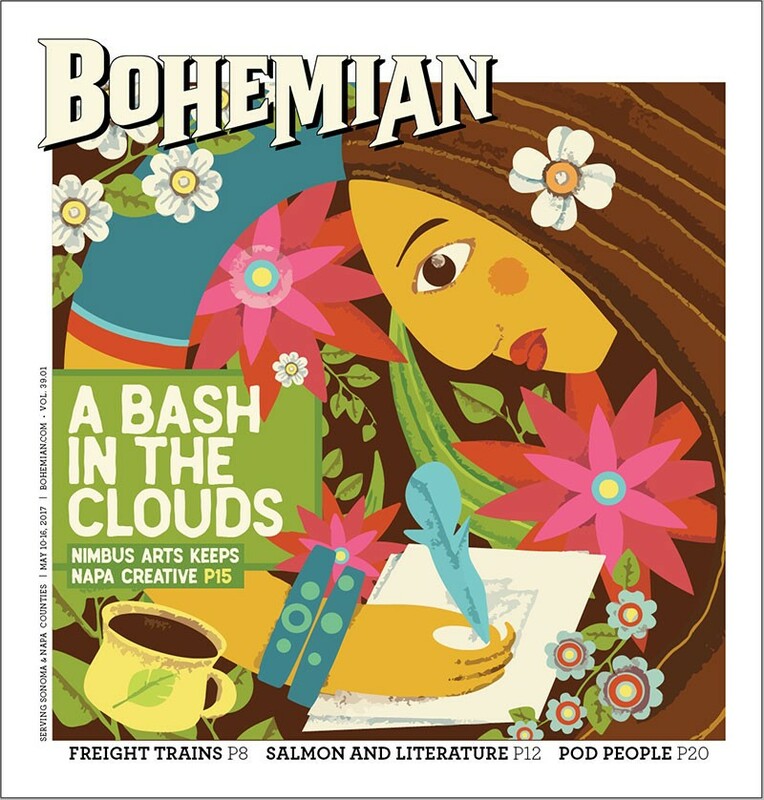 As Nimbus prepares for its annual Nimbash fundraising event on May 13—the valley's biggest art party of the year—along with a summer filled with art camps, the close-knit community of artists and organizers involved in the nonprofit reflect on the center's history and its two-fold impact on the cultural landscape of the North Bay. "Our mission is to reach communities that need art," says executive director Jamie Graff. "But our other big mission is to support local artists, to make life feasible for them here, because they're such an asset to the community." Nimbus first took shape in 2005 after founder Dana Johnson's daughter spent a week in a children's hospital. While there, Johnson saw art projects in the hospital's playroom that helped alleviate the stress of the situation. After her daughter's recovery, Johnson sought to share her experience with the community at large, and recruited Graff to form Nimbus. "It started out just trying to explore what the community wanted from an arts center," says Graff, who spent 12 years as a winemaker before Johnson approached her. One of the group's earliest offerings was a sculpture camp, which Graff says involved studying and creating clouds through sculpture. "What's important about that one is it's where our name came from," says Graff. "And it was also the model that would become the Nimbus style to teaching a multidisciplinary approach to creativity." From the early days of painting and drawing classes, Nimbus grew organically, and as Graff found more and more local artists to work with, the center's ability to teach other disciplines expanded. "We had a group of people here [in St. Helena] committed to making it work," Graff says. Today, the center boasts metal, ceramics, glass and other media classes from nearly 40 artists. "We have a think-tank style of developing our programs," Graff adds. "We get the artists together for meals, and have conversations about the directions of the center; it's a really dynamic, creative way to do it as a team." Graff calls the Napa Valley art scene bohemian and says the region's artists have an ability to tap into people's imagination with creative flair. "Everybody here knows everybody; seamstresses, painters, musicians. It's a really close-knit community. You don't have to go far if you need something from someone. It's a really supportive environment." Anne Pentland has been living and working in Napa Valley for the last 25 years, teaching and making art, and organizing projects for the Napa Valley Wine Auction, the Calistoga Education Foundation and Safari West in Santa Rosa, among other groups. Graff recruited Pentland while she was teaching after-school classes in Calistoga. Pentland, coming up on 11 years at Nimbus, is now the resident artist. She designs a lot of the programming and collaborations with groups like Mariposa, a prevention program of the Napa County Office of Education that empowers Latina youth in middle and high school to break the cycle of violence through the creation of large murals in locations like downtown Napa and the St. Helena elementary school. SEE, ART MAKES YOU SMILE Jamie Graff, center, and the Nimbus staff aren’t afraid to dirty some aprons in the name of art. "The magic of Nimbus is that we are really a family," Pentland says. "We're a lot of artists doing different things, but when we come together there's a synergy and the sum is greater than the parts." Nikki Ballere Callnan echoes that statement. A ceramicist who takes inspiration from natural forms and found objects, Ballere Callnan runs NBC Pottery with her husband, Will, and creates custom works for clients like the Restaurant at Meadowood. She has also taught at Nimbus since the satellite days. "Where we live is a very special place. We are lucky enough to have a lot of people in the community who support art," says Ballere Callnan. "Like a cat, Nimbus has always landed on its feet. We just want to share our passion, and Nimbus, when you're there, you've found home."